Approaching the start of the second half of my Institutional Foodservice Production and Management rotation, I’m starting to realize how everything I’ve learned so far is coming full circle. Yesterday I was educated, in more detail, about the benefits and logistics of a FOG BMP program in restaurant foodservice managements related to sustainability. The Chief Operating Officer from FOG BMP Rite-Way Compliance Group, LLC was our guest speaker yesterday and educated us on the importance of this program, how it works, how it affects our restaurant businesses, and community as a whole. FOGis an acronym that stands for Fats, Oils, and Grease which is commonly found in Food Service Establishments (FSE’s). BMPstands for Best Management Plan. This program is recommended by the EPA (Environmental Protection Agency) and mandated by various cities across the country. It entails a written plan of daily practices for food service employees to follow to solve the problems of fats, oils, and grease that enters the public sanitary sewers. There are 2 types of grease: yellow grease/rendered grease and brown grease/trap grease. So, how does FOG negatively impact your FSE? How does FOG negatively impact the public sewer system? – $29 billion a year is spent on cleaning up the public sewer systems in the U.S. There are currently 2 different types of devices that all restaurants have that is designed to separate the fats, oils, grease and solids from wastewater. A grease trap is usually located in smaller food service establishments and positioned inside the kitchen near the 3-compartment sink. A grease interceptor is located in much larger food service operations and is an exterior in-ground tank. One concept that really caught my attention of the presentation was composting. 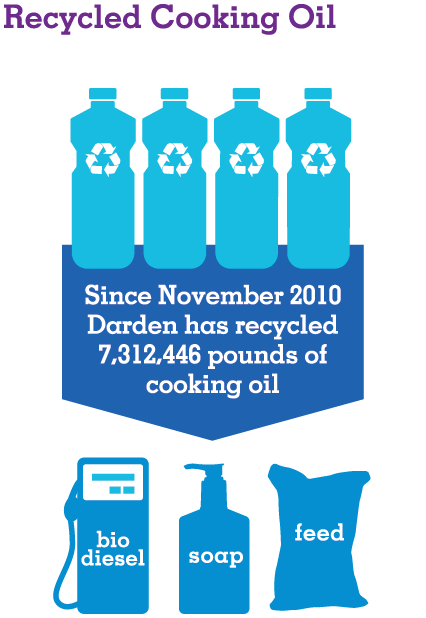 Our guest speaker mentioned that other restaurant corporations are utilizing this form of sustainability as well. The restaurants use their food waste, which is food materials that are discarded or unable to use, and saved to put in a food compost container. Then, these composts are donated to local farmers to use for fertilizers on their produce. Then, once the produce is grown, the restaurant buys those products from the local farmers. 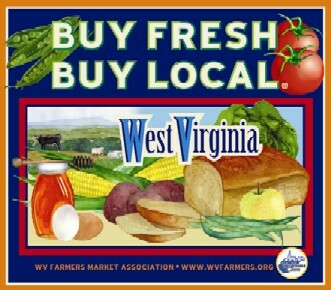 It really promotes local food economy, utilizing local farmers, and minimizing food miles traveled. 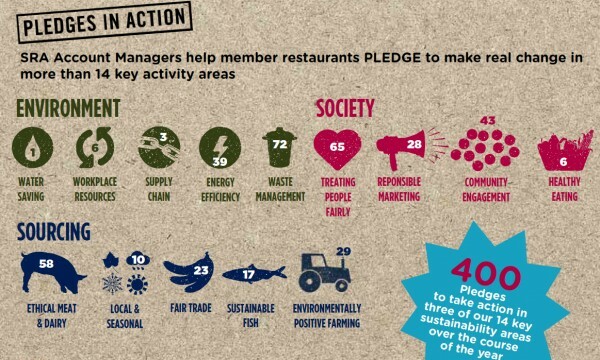 I think this is a great and innovative model that every restaurant should adopt! Separating customers into market groups provides the basis for successful strategy development in marketing a restaurant. Market segmentation is the process of dividing a total market into groups of people with similar needs, wants, values, and purchasing behaviors. A market is not a place, but rather a group of people, as individuals or organizations. The group needs products and possesses the ability, willingness, and authority to purchase them. A market segmentation is a mixture of individuals, groups, or organizations that share one or more characteristics, which causes them to have similar product needs. In a homogenous market, a marketing mix is easier to design than one in a heterogeneous group with dissimilar needs. Choosing the correct variable for segmenting market is important in developing a successful strategy. Variables are often broken down into 4 categories for the segmentation process: geographic, demographic, psychographic, and behavioristic. o Consumers make choices based on their knowledge and principles. o Consumers make choices based on what they perceive will show their success to their peers. o Consumers make choices based on a desire for social or physical activity, variety, or risk. Forecasting is an art and science of estimating events in the future and provides the database for decision making and planning. The art of forecasting is the intuition of the forecaster, and the science is the use of past data in a tested model. Both are required to estimate future needs. Forecasting is described as a function of production and constitutes the basis for procurement. Computerized systems often are used to facilitate the forecasting process. Forecasting not only is a function of production but also is needed for procurement. Food products must be available for producing menu items for customers. The primary result of forecasting should be customer satisfaction; customers expect to receive what they ordered. In addition, the foodservice manager is concerned with food cost; both overproduction and underproduction affect the bottom line. Overproduction, the production of more food than is needed for service, generates extra costs because the salvage of excess food items is not always feasible. Leftover prepared food spoils easily and requires extreme care in handling and storage. Even though some leftover foods might be salvageable by refrigeration, certain foods may break down and lose quality. An example is re-using chopped tomatoes or chopped lettuce from an earlier production shift. Policies and procedures for the storage of overproduced food items should be well defined and rigorously enforced. Attempts to reduce overproduction costs by using a leftover high-priced food as an ingredient in a low-cost menu item reduce profits. For example, using leftover rib roast in beef stew, soup stock, or beef hash, all of which could be prepared with less expensive fresh meat, is difficult t justify. In addition to the higher food cost, planning and carrying out these salvage efforts incurs higher labor costs that could have been avoided had overproduction not occurred. Customers often suspect that leftovers are being used, which can be damaging to the image of a foodservice operation. Underproduction, the production of less food than is needed for service, can increase costs as much as overproduction. Customers will be disappointed if the menu item is unavailable, and they often have difficulty in making another selection. Furthermore, underproduction may involve both additional labor costs and often the substitution of a higher-priced item. A wise manager will insist that a similar backup item be available when underproduction occurs. For example, in a university residence hall foodservice, if the grilled meat patties run out, an excellent replacement would be frozen minute steaks, quickly grilled. Such a substitution certainly would increase customer satisfaction even though it hurts the bottom line. Managing in the restaurant industry can be a multi-tasking juggling act at times. Anyone who has ever worked in a restaurant knows that it can be, and most likely is fast-pace and requires organization and communication from everyone in each department. o Leaders communicate clearly and ensure that employees know what is expected of them. One of the ways to accomplish this is to discuss roles and responsibilities with everyone in the operation. This way everyone understands the direction given. o Using the organization’s mission, vision, and values as checkpoints, leaders maintain standards by holding themselves and other accountable for their actions. o Gaining cooperation through caring acts, using persuasion to convince others of appropriate behavior, and offering constructive feedback are ways that leaders influence others. 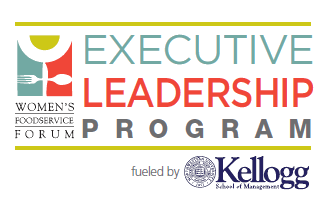 Leaders also examine how to build consensus through a “give” and “take” dialogue as well as encouraging superior performance by relating employees’ actions to the organization’s vision. o Leaders create functional work teams that build members’ skills. 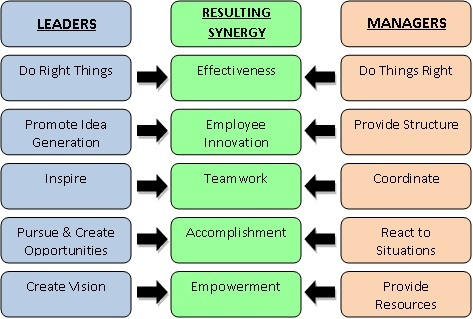 They also establish cross-functional teams to monitor, standardize, and improve work processes across the company. Assigning problems to temporary groups of selected employees is one way to begin developing these teams. o The importance of communication cannot be overstated. Leaders give pep talks, ask their employees for advice, and vocally praise people’s work. It is also really important to keep employees informed and provide them with a sense of belonging by allowing them to solve problems and contribute ideas. o Leaders instruct employees on better ways to perform a task, offer insights to high-potential workers, and ensure that every employee has a development plan. They also seek out learning opportunities for the staff and encourage them to enroll in these programs. o Anticipating the need for change, looking for better ways to do things, understanding the link between change and learning, and communicating the benefits of new processes and procedures are all actions of a leader. A lot of factors go into why, we as people, overeat. Having some idea of our behaviors is helpful in order to solve our problem and try to do better with it. Researchers recently did a study that looked at the effect of 3 common overeating triggers… Alcohol- Lack of Sleep- and TV. The study found that alcohol had the strongest effect on food consumption, followed by sleep deprivation. Watching television had the least strongest effect of the 3 triggers. The effect of alcohol was double; yes I said double, that of sleep deprivation, which was double the effect of watching television. Well, it turns out that all 3 behaviors lead to an increase in circulating ghrelin. Ghrelin is a hormone that stimulates your appetite. So, there is a biological foundation behind our weakened resolution when these lifestyle factors are in play. The scenario could be characterized by biologically unnecessary appetite stimulation paired with a heightened response to environmental food cues, which causes us to overeat! The authors of this study discussed that with all 3 of these triggers combined- this promotes an increase in acute caloric consumption. These lifestyle patterns are not merely correlated with obesity but likely contribute to it by encouraging excessive eating. Obviously not everyone eats in front of the TV and many people indulge in alcohol only occasionally. These folks don’t have a problem to solve though. It’s when these types of habits become a lifestyle that they become important factors in adding and maintaining those extra pounds. If you think you have either of these lifestyle habits going on, then 1) limiting TV time and 2) limiting the number of episodes per week you indulge alcohol, should be obvious goals. Avoiding being sleep-deprived is more complicated, but trying to arrange your schedule to get a full 7- to 8 hours of sleep per night, is a good place to start (or adding a regular nap to make up some of the difference). Mindless Eating comes into player here. Mindless eating is taking that extra time to actually enjoy your food that you’re eating- without all those multitasking duties that everyone does. So, instead of watching TV or reading the newspaper during a meal, actually sit and chew your food thoroughly and enjoy your meal. This way, you become more aware of how much you’re eating and become full faster. Menu labeling laws are creating new jobs for RDs in nutrition analysis, menu development, and more. Despite challenging economic times, people are eating out more than ever. Obviously, today’s eating-out scene isn’t what it used to be. It’s no longer an occasional treat. In fact, it’s become mainstream. Part of the reason is that reason is that restaurants are reaching more people in more powerful ways. Social media, big-batch couponing, and targeted marketing and advertising are wildly popular, and restaurants often promote nutrition and health-related messages. Food is a competitive business, and restaurants stand out offering what people want. Weight-conscious consumers demand tasty, low-fat, low-carb, and low-calorie. 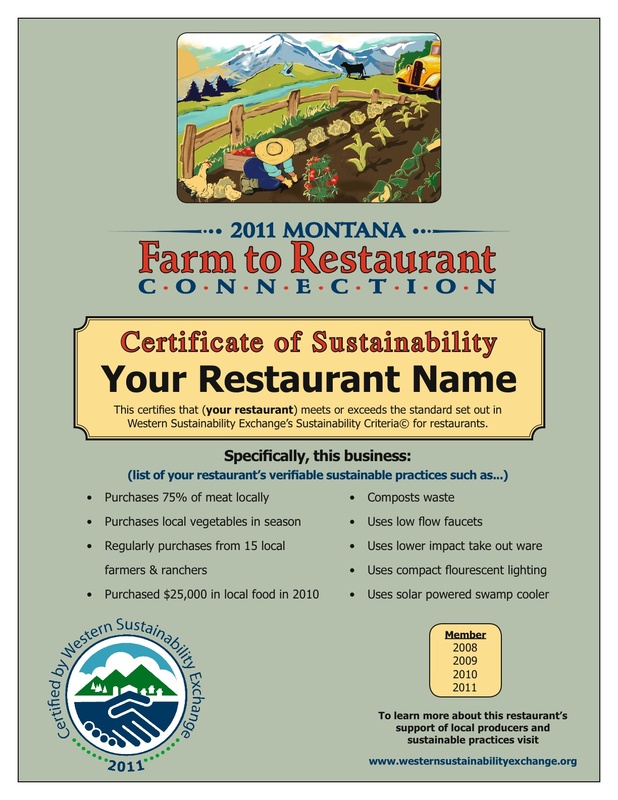 Eco-conscious customers seek restaurants that promote social responsibility and sustainability and offer local selections. Health-conscious clientele ask for nutrition and allergy info as well as options for special diets such as low sodium, vegan, gluten-free, and oil free. In fact, according to a National Restaurant Association (NRA) survey of 1,800 chefs, health/nutrition, gluten-free/allergy-free fare, children’s nutrition, and healthful kids’ meals are among the 20 hottest restaurant trends of 2012. The sky’s the limit for RDs in restaurants nowadays. Some of the most important roles RDs can play in the restaurant industry include providing nutrition information, developing menus for special needs customers, helping with food safety and label regulation compliance, and marketing. Nutrition analysis is one of the many menu-consulting services RDs can provide to restaurants. Others include recipe creation, menu development, recipe makeovers for improved nutrient profiles, identification and development of selections that meet guidelines for specific diets and dietary restrictions, adaptation of recipes for health conditions, and assistance with increasing perceived healthfulness of menus. RDs with strong culinary backgrounds are ideal for assisting restaurants with developing new flavor profiles and ingredient combinations while meeting calorie and nutrient targets, sourcing fresh/local or unusual ingredients, and even helping with food budgeting. RDs also can train staff on topics that bring together nutrition and culinary arts in unique and interesting ways. Menu development is another new avenue for RDs in today’s food industry. Niche markets provide consulting opportunities for RDs, like identifying and designing gluten- and allergy-free menu options; developing low-carb or low-fat dishes; promoting healthful kids’ meals; procuring local, organic, or sustainable ingredients; and developing vegetarian/vegan fare. Developing, defining criteria for, and implementing special dietary meal, such as heart-healthy choices, are other opportunities requiring RDs expertise. In some cases, programs with nutrition criteria already exist, and the restaurant simply needs help identifying and developing menu items that meet the criteria. One example is the NRAs Kids LiveWell program, which already has established criteria for its participating menu items. Another critical area of opportunity for RDs in the restaurant industry is food safety. Becoming ServSafe certified is one way to get your foot in the door. RDs also can become involved with state-specific compliance measures with the department of health, front- and back-of-the-house food safety training programs, food allergen labeling, and food allergy protocol training, which entails the prevention of allergen cross-contamination. Food Safety at its finest! RDs with experience in public relations and marketing are valuable additions to restaurant teams. For example, experts in customer relationship management give restaurants an edge with the use of social networking tools and social influence marketing. Being the healthy voice of a restaurant can be accomplished through marketing materials, becoming a spokesperson, interviews, food demos, tastings, seminars, workshops, health fairs, lectures, and trade shows. RDs are in high demand to help restaurants comply with menu labeling laws. In addition to providing soon-to-be-required nutrition information, like calorie counts on menus, menu boards, food display tags, and at drive-thrus, restaurants will need assistance understanding health claims, FDA legislation, requirements, exemptions, and recommendations. Chain food establishments, including grocery store cafés and convenience stores, as well as those managing vending machines soon need to comply with the laws too. These businesses may know less about menu labeling than traditional restaurants and will be receptive to RDs expertise. Despite mixed study findings on the effectiveness of menu labeling on food choices and behavior and its influence on the obesity epidemic, no one can ignore the fact that people want nutrition information. They also want healthful, tasty, balanced meals. Smart restaurants appreciate the value that dietitians bring to the table and understand the importance of customer loyalty. For nutrition professionals to effectively sell their services to restaurants, they need to be armed with persuasive evidence that illustrates their value. RDs make the perfect partners for restaurants that care about the accuracy and quality of nutrition information they provide. A restaurant needs to protect its credibility. Restaurant nutrition consulting involves a high level of skill, knowledge, education, experience, and responsibility, and RDs are the best fit to ensure that nutrition information is accurate and doesn’t mislead consumers. And if food labels or nutrient claims are involved, RDs are familiar with FDA regulations. RDs understand the bottom line. RDs know that a restaurant is a business, and businesses must turn a profit. They know that being sensitive to the financial challenges of restaurateurs is an important part of forging a successful working relationship. When setting fees, a little creativity and flexibility regarding bulk pricing, package deals, and other compromises may, depending on the situation, result in a win-win. RDs are also aware that chefs are passionate about the tools they create and may be resistant to standardizing recipes and following guidelines that ensure consistency and accuracy in recipe analysis. It’s important to respect the need for creativity and agree on ways to retain the food’s high quality while providing accurate, reliable information. 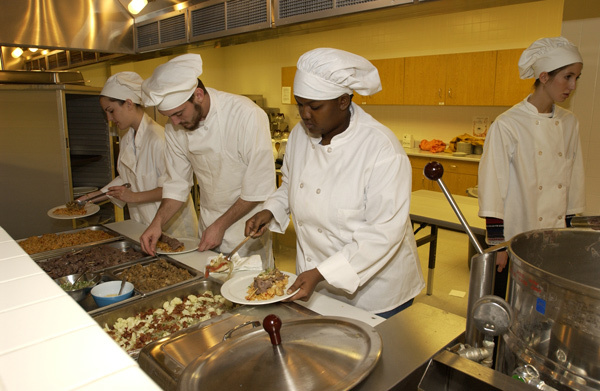 As for nutrition professionals, there is no better time to explore career opportunities in the restaurant industry. Restaurateurs need our expertise on many levels to provide healthful foods and accurate nutrition information in creative, innovative ways during a time when obesity and chronic disease is at an all-time high. Without a doubt, our generation has to make a difference…. RDs can be in the most unexpected places in your favorite restaurant!